JPGA student Savannah Hylton wins the HJGT Hilton Head JR Shootout for her 2nd win of the year. The JPGA girls dominate their division with a Win and 3 girls tied 2nd, 2 shots back; Vivian Yen, Maria Fernando Sosa and Katharina Hesse. Other top ten finishes were Yeon Joo Kim 6th place and Deanna Confessore 10th place. In the Boys 16-18 division Mikus Ming and Jeremy Sisson finished tied 2nd with a 6 under par 138 total. JPGA students finished with 7 students in the top 10. Alan Smith 5th, Ty Sullivan 6th, Arthur Draijer 7th and Darley Randall, AJ Gilpin T-8th. Mudit Rana finished 3rd in the Boys 14-15 division for his 2nd trophy of the year and Luke Guthrie playing in his first HJGT event finished in 2nd place in the Boys 11-13 division. 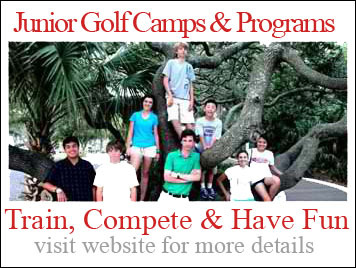 Next story Golf Week Junior Invitational at Innisbrook Resort North Course, Palm Harbor, Fl.